The 2016 Brian Green Property Group New Zealand Rally Championship will travel the length and breadth of the country to the best rally roads on offer with the announcement of a provisional six round calendar. The NZRC will visit Whangarei, Otago, Canterbury, Gisborne, Coromandel and the new addition of Paihia, as rounds of the 2016 series. The exciting calendar will see New Zealand’s best rally drivers compete on a variety of terrain from the fast cambered roads of Whangarei, the undulating crests of the Otago highlands, Canterbury’s wintery forest tracks, the twisting roads of the Gisborne and Coromandel ranges, before finishing on the Far North’s gravel highways. The 2016 season will once again start at the International Rally of Whangarei on April 8-10. The two day event which doubles as a round of the FIA Asia Pacific Rally will be held over the fast cambered Northland roads that are widely regarded by drivers as among the best gravel roads in the world. From the north, competitors will head to the deep south of the Otago Rally on April 30-May 1 which also encompasses the Otago Classic Rally. The two day event has been a mainstay of the NZRC since 1995 and continues to provide exciting action on a variety of stages from the fast undulating Otago plains to technical forestry sections. Round three of the championship, to be held over the Queen’s Birthday long weekend on 4-5 June, will again be Rally Canterbury, run on some of the best forestry roads that New Zealand has to offer. The event has also re-confirmed sponsorship from Lone Star for the third consecutive year. The series will return to the North Island for round four, Rally Gisborne on July 2 The 2015 event sees stages the likes of Motu, Whakarau and Rakauroa return to the championship and while the route for 2016 is yet to be set, the region is blessed with a large variety of high quality roads that are amongst the most challenging in the country. Returning for a third consecutive year, Goldrush Rally Coromandel will again form the penultimate round of the championship on August 20. 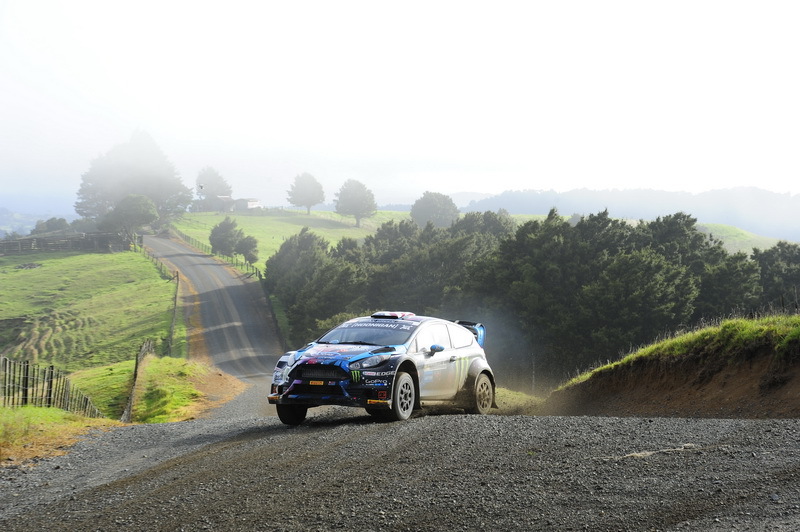 The challenging special stages held in the Coromandel ranges including Castlerock, Tapu-Coroglen and The 309 provide a real contrast to the picturesque coastline of the host venue Whitianga. New to the championship for 2016 and forming the final round will be Rally of the North on October 1. A long standing regional event, Rally of the North is famed for the quality of its Northern gravel stages that range between fast and flowing to tight and technical. The Paihia base for the season finale provides an exciting location for the championship conclusion. The early announcement of the provisional 2016 calendar provides teams the opportunity to commence planning and to build on the success of the current strength in the championship. The 2015 NZRC has attracted one of the most competitive fields in recent years with the quality of events and the current technical regulations, including the adoption of the new generation style rallycar, underpinning its success. Six different types of manufacturer (Subaru, Mitsubishi, Suzuki, Mazda, Ford and Peugeot) are currently contesting the overall four wheel drive category with the addition of Volkswagen as the seventh before the end of this season. The series has also attracted top international drivers to compete with American Superstar Ken Block contesting the opening two rounds of the 2015 season and New Zealand WRC driver Hayden Paddon making a guest appearance at the Otago Rally. Ken Block demonstrated an impressive display of driving to win at Whangarei and described the roads as among his favourite to compete on, “I genuinely believe the New Zealand roads are the best stage roads in the world,” stated Block following the Whangarei event..
NZ Rally Championship television presenter and rally driver Glenn Inkster also underlines the strength of the current national series. “New Zealand rallying is in such a strong place at the moment, look at what Hayden Paddon has achieved internationally with the NZRC as a training ground. As well as the intense competition, this comes down to the smooth roads that drivers can attack on without fear of breaking their cars. That’s why we have such a competitive championship with drivers constantly pushing each other,” comments Inkster.